Kids eat free at iHops! Why don’t take your kids to eat out at iHops? iHop was founded in 1958 and is officially known as the International House of Pancakes. It is known for making delicious breakfast treats with over 65 different signature made-to-order breakfast options. It also offers a diner-style table service in its more than 1,500 branches in the US and beyond. iHop has a kid’s menu that offers foods with 600 calories or less and they are in portions ideal for kids. The best thing: iHops Kid’s eat free! We’ve summarized the iHops kids menu below. Breakfast Sammy– it is a triple whammy with a hard egg, crispy bacon and American cheese served with unsweetened Mott’s applesauce. Build your own Rooty Jr. – just like the adults version, the kids are allowed to customize their Rooty Jr. with their favorite ingredients. Silver 5– this contains 5 silver dollar-sized buttermilk pancakes, scrambled eggs and crispy hickory-smoked bacon served with their drink of choice. Jr. Cupcake Pancake Combo– if your kids have a sweet tooth they will love this breakfast. It contains a buttermilk pancake that is topped with cupcake icing and sprinkles on the top. It is also served with a piece of bacon, scrambled eggs and one sausage. Jr. Chicken & Waffles– here the kid will get two crispy chicken meat strips battered and fried to a golden and crispy state. The chicken is served with two quarter pieces of Belgian waffles with whipped butter. Your kid also gets a dipping sauce of their choice. Chicken Nuggets– the kid will get four pieces of chicken nuggets made from chicken breasts and whole grains. The nuggets are fried to become crispy and delicious. They are served with applesauce. Macaroni and Cheese– it’s a great choice for dinner or lunch. The delicious Macaroni and cheese is served with applesauce. Jr. Cheeseburger Sliders– two cheeseburgers made of 100% USDA choice beef topped with American cheese are served with applesauce. 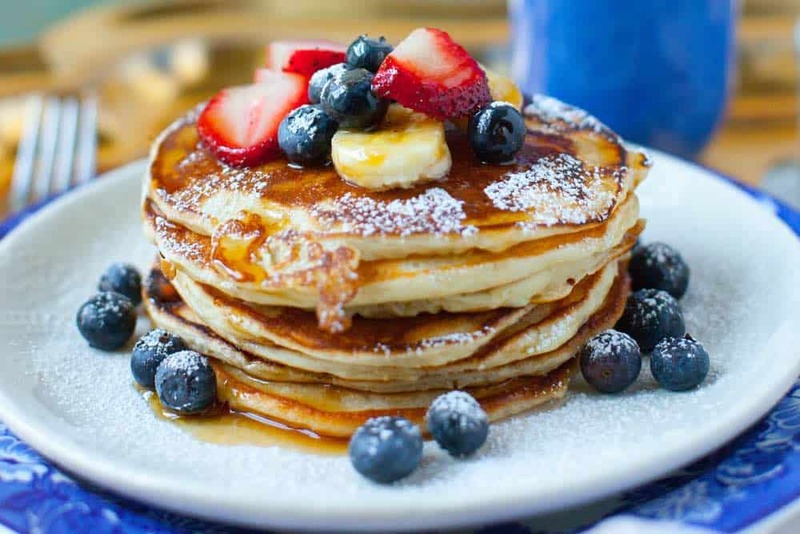 Create-A-Face Pancake– the big buttermilk pancake contains a fresh banana smile, nose made of whipped toppings, eyes made of strawberry and a forehead made of low fat strawberry yoghurt. Kids will love the creativity put in this. French Toast With Nutella– consists of an original French toast that is topped with Nutella and hazelnut spread. It is served with one scrambled egg. Funny face– this consists of a huge chocolate chip pancake with whipped topping smile and sprinkled with fine powdered sugar. iHop is known to give offers during certain periods when kids aged 12 years or below are allowed to eat free as long as you buy a full entrée meal. Unlike in other restaurants where offers run for a day or during certain days of the week, kids eat free offers at iHop are known to last for a longer period. The offers run only in participating restaurants and during certain periods; so, be on the lookout for them and consult with your local iHop restaurant to see if they are running offers. As you probably know we also have the iHops menu prices listed. Even without the kid’s eat free offers, kid’s menu prices at iHop are fair. Here are the regular items on the kid’s menu and how much they will cost you. If you have kids aged 12 years and below, be on the lookout for kid’s eat free offers at iHop to enjoy quality time with your kids at the very best prices.